Not to be confused with European Directorate for the Quality of Medicines. The European Medicines Agency (EMA) is a European Union agency for the evaluation of medicinal products. Prior to 2004, it was known as the European Agency for the Evaluation of Medicinal Products or European Medicines Evaluation Agency (EMEA). The EMA was set up in 1995 with funding from the European Union and the pharmaceutical industry, as well as indirect subsidy from member states, in an attempt to harmonise (but not replace) the work of existing national medicine regulatory bodies. The hope was that this plan would not only reduce the €350 million annual cost drug companies incurred by having to win separate approvals from each member state but also that it would eliminate the protectionist tendencies of sovereign states unwilling to approve new drugs that might compete with those already produced by domestic drug companies. The EU is currently the source of about one-third of the new drugs brought onto the world market each year. Based in Amsterdam, the EMA was founded after more than seven years of negotiations among EU governments and replaced the Committee for Proprietary Medicinal Products and the Committee for Veterinary Medicinal Products, though both of these were reborn as the core scientific advisory committees. The agency was located in London prior to the United Kingdom's withdrawal from the European Union, relocating to Amsterdam in March 2019. The EMA operates as a decentralised scientific agency (as opposed to a regulatory authority) of the European Union and its main responsibility is the protection and promotion of public and animal health, through the evaluation and supervision of medicines for human and veterinary use. More specifically, it coordinates the evaluation and monitoring of centrally authorised products and national referrals, develops technical guidance and provides scientific advice to sponsors. Its scope of operations is medicinal products for human and veterinary use including biologics and advanced therapies, and herbal medicinal products. The agency is composed of the Secretariat (ca. 600 staff), a management board, seven scientific committees (human, veterinary and herbal medicinal products, orphan drugs, paediatrics, advanced therapies and pharmacovigilance risk assessment) and a number of scientific working parties. The Secretariat is organised into five units: Directorate, Human Medicines Development and Evaluation, Patient Health Protection, Veterinary Medicines and Product Data Management, Information and Communications Technology and Administration. The Management Board provides administrative oversight to the Agency: including approval of budgets and plans, and selection of Executive Director. The Board includes one representative of each of the 28 Member States, two representatives of the European Commission, two representatives of the European Parliament, two representatives of patients' organisations, one representative of doctors' organisations and one representative of veterinarians' organisations. The Agency decentralises its scientific assessment of medicines by working through a network of about 4500 experts throughout the EU. The EMA draws on resources of over 40 National Competent Authorities (NCAs) of EU Member states. The CHMP is obliged by the regulation to reach decisions within 210 days, though the clock is stopped if it is necessary to ask the applicant for clarification or further supporting data. The Paediatric Committee (PDCO) deals with the implementation of the paediatric legislation in Europe Regulation(EC) No 1901/2006 since 2007. Under this legislation, all applications for marketing authorisation of new medicinal products, or variations to existing authorisations, have to either include data from paediatric studies previously agreed with the PDCO, or obtain a PDCO waiver or a deferral of these studies. Pharmacovigilance: The Agency constantly monitors the safety of medicines through a pharmacovigilance network and EudraVigilance, so that it can take appropriate actions if adverse drug reaction reports suggest that the benefit-risk balance of a medicine has changed since it was authorised. Referrals: The Agency coordinates arbitration procedures relating to medicinal products that are approved or under consideration by Member States in non-centralized authorisation procedures. Scientific Advice: Companies wishing to receive scientific advice from the CHMP or CVMP on the appropriate tests and studies to carry out in the development of a medicinal products can request it prior to or during the development program. Telematics projects: The Agency is responsible for implementing a central set of pan-European systems and databases such as EudraVigilance, EudraCT and EudraPharm. 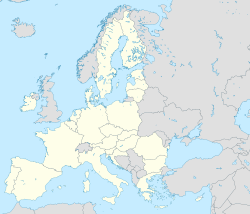 Following the 2016 decision of the United Kingdom to negotiate to leave the European Union ("Brexit"), the EMA chose to search for another base of operations. According to EU Law the European Commission had to decide on the fate of the EMA's location. The EU ministers met to vote on their preferred successor. The EU's Health Commissioner Vytenis Andriukaitis said that the preferred choice would be a location where an "easy set up and guarantee of smooth operations" would be available. Member states who had expressed their bid for the new EMA location were Austria, Belgium, Bulgaria, Croatia, Cyprus, Czech Republic, Denmark, Finland, France, Germany, Greece, Hungary, Ireland, Italy, Malta, the Netherlands, Poland, Portugal, Romania, Slovakia, Slovenia, Spain, and Sweden. It had also been speculated that the Strasbourg-based seat for the European Parliament could be moved to Brussels, in exchange for the city to host the EMA. Others speculated on the merits of Amsterdam, well before the final decision was made. The decision on the relocation was made on 20 November 2017 during the EU General Affairs Council meeting, after three voting rounds and finally drawing of lots. After the first round of voting, Milan (25 votes), Amsterdam (20 votes) and Copenhagen (20 votes) were the only contenders left. After the second voting round, two cities were left: Milan (twelve votes) and Amsterdam (nine votes). These two cities tied in the subsequent vote (thirteen votes each), after which a drawing of lots identified Amsterdam as the host city of EMA. It is unclear what future arrangements the United Kingdom proposes to make for its own medicinal evaluation after leaving the EU. Paul Workman, the president of the London-based Institute of Cancer Research, has suggested that pharmaceutical companies would naturally seek regulatory approval for new drugs in the biggest markets first, leaving the UK facing delays in approval if they set up independent arrangements. The review process of the European Medicines Agency regarding medical issues has been criticized for its lack of transparency and issues of conflict of interest. In a rebuttal of an EMS review that included her work, Louise Brinth, a Danish physician, noted that "experts" reviewing data remain unnamed and seem to be bound to secrecy. Minutes are not released and diverging opinions are not reported suggesting that all the "experts" are of the same opinion. In her view the process is unscientific and undemocratic. The EMA is roughly parallel to the drug part of the U.S. Food and Drug Administration (FDA), but without centralisation. The timetable for product approval via the EMA's centralised procedure of 210 days compares well with the average of 500 days taken by the FDA to evaluate a product. ^ Set up by EC Regulation No. 2309/93 as the European Agency for the Evaluation of Medicinal Products, and renamed by EC Regulation No. 726/2004 to the European Medicines Agency, it had the acronym EMEA until December 2009. The European Medicines Agency does not call itself EMA either – it currently has no official acronym but may reconsider if EMA becomes commonly accepted (see communication on new visual identity Archived 1 June 2010 at the Wayback Machine and logo Archived 25 December 2009 at the Wayback Machine). ^ HRABOVSZKI, Georgina (2019-03-11). "EMA now operating from Amsterdam". European Medicines Agency. Retrieved 2019-03-12. ^ "Questions and answers on the paediatric use marketing authorisation (PUMA)" (PDF). European Medicines Agency. 13 September 2011. ^ "European Council - Offers to host the European Medicines Agency (EMA)". Retrieved 2017-09-14. ^ a b c d e f g h i j k l m n o "Reuters - Twenty-one countries vie to host EU drug agency after Brexit". Retrieved 2017-08-10. ^ a b "European Council - Offers to host the European Medicines Agency (EMA)". Retrieved 2017-08-10. ^ "Finland is an excellent place for European Medicines Agency". Sosiaali- ja terveysministeriö. Retrieved 2017-04-18. ^ "Homepage - The Dutch Bid for EMA". The Dutch Bid for EMA. Retrieved 2017-07-13. ^ "Countries line up to host European Medicines Agency after it leaves UK". 15 February 2017. Retrieved 8 May 2017. ^ "Romania looks to poach EU medicines agency from UK". 23 March 2017. Retrieved 8 May 2017. ^ "A Brexit pill for Romania". 13 April 2017. Retrieved 8 May 2017. ^ Patrick Wintour. "Countries line up to host European Medicines Agency after it leaves UK | World news". The Guardian. Retrieved 2017-04-01. ^ Julia Bradshaw (2016-12-08). "Sweden launches campaign to host EU drugs agency instead of UK after Brexit". Telegraph.co.uk. Retrieved 2017-04-01. ^ "Strasbourg could trade Parliament seat for medicines agency". ^ "PharmaTimes, 27th September 2017. EMA staff favour move to Amsterdam". Retrieved 19 October 2017. ^ "Nature News, October 2017. European drug regulation at risk of stalling as agency prepares to leave London". Retrieved 13 October 2017. ^ "Ema, Milano passa al secondo turno di votazioni con Amsterdam e Copenhagen". Retrieved 20 October 2017. ^ "Brexit: People will die because of plans to set up UK-only drug regulator, cancer specialist warns". Independent. 10 February 2017. Retrieved 11 February 2017. ^ Gu, A; Patel, D; Nayak, R (2016). "Chapter 10: Drug shortages". In Fulda, TR; Lyles, A; Wertheimer. Pharmaceutical Public Policy. CRC Press. pp. 151–160. ISBN 9781498748513. ^ Boslaugh, SE (2015). "European Medicines Agency". The SAGE Encyclopedia of Pharmacology and Society. SAGE Publications. ISBN 9781506346182. ^ Sherwood, Ted (16 April 2008). "Generic Drugs: Overview of ANDA Review Process" (PDF). CDER Forum for International Drug Regulatory Authorities. Food and Drug Administration, Office of Pharmaceutical Science. Retrieved 30 January 2010.